If you’d rather replace UberMenu on your mobile device with an off-canvas responsive mobile menu, you can install ShiftNav to do just that. 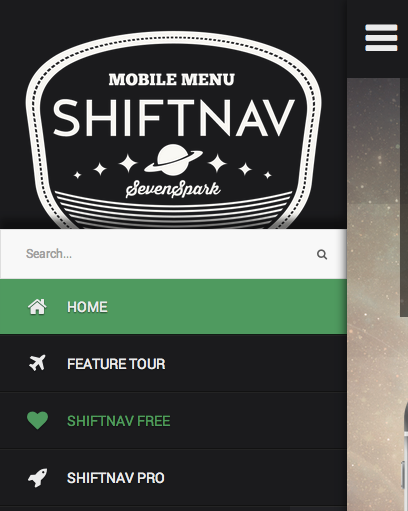 ShiftNav is built to work with UberMenu (just set the menu to hide as #megaMenu). ShiftNav offers a free version as well as a Pro version with more advanced features. The free version can be downloaded from the WordPress repository.